I'm happy you've come back after spending so much time with me on Monday. I really really really appreciate the affirmation I received from so many of you! Today my post is going to be divided into three chapters. I know I could do three separate posts, but I want to avoid peeps feeling like they have to comment on each one what with all of us being so busy with little baby Yada Yada and her dog Scoot Along, so I'm pimplifying things. With the chapters clearly marked you can do the finger waltz down the page and just stop in at the chapter of your choice or park your digit and go for the whole tour, thank you very kindly. First up today is What's On Your Workdesk? Wednesday (WOYWW). WOYWW is a desk-hopping challenge where I show you mine and you show me yours, you know, like we used to do in the playground with our pop beads and chewing gum wrapper necklaces. Our wonderful and talented hostess is Miss Julia Dunn and she has created and manages this fun and addicting weekly challenge, for which we are grateful. Here is my desk. I'm working on the cards I need for August birthdays and anniversaries. Yes, I'm aware that anyone celebrating in August prior to, say, August 10th, will get a belated surprise in their happy meal. I've found that people easily forgive me for doing that now that I've reached the age of bewilderment. So. Not too exciting unless you enjoy looking at address books. Although my Wall of Art and window view alone are always worth a stop in. But, wait. What? What the heck kind of craft supplies are in that open drawer in the lower left corner? Aluminium foil? The foil from those old chewing gum sticks? Let's have a closer look. Oh, sorry, sorry. Before you do that, I have to close Chapter One. Thank you for stopping in on your way around the WOYWW hop! If you leave your number with your comment, it will help me find you. Have a wonderful week! Mind how you go, if you go. There is an awesome challenge in Blogland that I've been wanting to join for evages and today I can finally seq my way right to it. Squee! It's called Our Beautiful World and I just love the sound of that. The premise of the challenge is to create a friendly community where we can share the beauty of the world as seen through our lenzes, following weekly prompts. The current prompt is "Chocolate." And you know that had my face written all over it. Put "eat chocolate" at the top of your list of things to do today. That way, at least you'll get one thing done! And, so, here is the close up of my desk drawer shown in Chapter One, which close-up I am entering in Our Beautiful World! Hershey's Chocolate Kisses rule! Now you know the secret to my happy, happy, joy, joy attitude!! And doughlike grandmotherly figure like in children's old-timey storybooks. Lastly, because time is running out at this next challenge, I'm quickly sharing and linking a card I made for the current Keep It Simple challenge where the brief is to use "Only Stickers." kindness, happiness, and a smile. Isn't that a beautiful quote? Unfortunately, both the hydrangea sticker and the clear epoxy sticker are ancient and no longer in their packaging, so I have no idea what company manufactured(s) them. Maybe K and Company? The ribbon is "Ribbon-by-the-Spool" from the dollar bin at Richard's. I hope you will click on the links for each of these wonderful challenges where you will be welcomed with open arms! The links will take you to information regarding the rules and any sponsors/prizes. A couple of sweet friends have suggested that I enter my card in the current "Wedding" challenge over at The Card Concept where it fits the clean and simple category. It doesn't get more clean and simple than a sticker card! The flowers are so pretty for a wedding bouquet and that sediment? Well, let's just say that more marriages might last if that were everyone's daily mantra!! I'll leave you with lots of kisses!! Yours are pretty stickers...the kind that should be used on pretty cards! And I love hydrangeas...on card or IRL. I love that they can be different colours just depending on the elements in your soil. Cool! So now we know the secret to your happiness a draw full of Hershey's chocolate kisses.. Knew there was something, but alas here in Australia we do not have them so if you ever travel here make sure to bring a suitcase full for the trip..
That has to be the best draw in your craft room...... A chocalate draw!!!! Why have I never thought of that!!!! Love the card and quote. I'd put your little gin bottle in a shady spot, as the sun could make it undrinkable. Darnell how I love your posts, you have a gift of writing the most personal and endearing posts! Your stash of kisses is not unlike my stash of M & M's. Right in my desk where I need them! Beautiful card, that hydrangea sticker is lovely! Now go back and look at that sticker again. Before I read what you wrote I thought it said 'Rise with........' As in wake up in the morning with these feelings. Not only am I deaf I cant see either. And thank you for my birthday card last week, Darnell, that was a really lovely surprise!! I am indeed a completely mad cow. as your card inferred...grin! Well, if I ever come to your house I know which drawer to open first!!! Oh dear, the Health Trainer at the doctors forbid me to eat chocolate so I will have to find something else for that one. Still, nice to see you enjoying a drawer full - wouldn't have stayed that full with me about I can tell you. Love your CAS card - and it does look very 'fresh' so fits the clean and simple bill perfectly in my books. Love your description of age as being one of 'bewilderment' - must remember that. Thanks for a great read as always, love your humour that comes out in your style of writing. The full tour for me! Your posts are always a fab way to brighten one's morning! And while I have often thought "I must try that some time" when visiting here, I do believe the chocolate drawer calls for a "I must try that today!" approach. 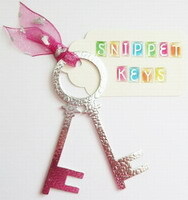 Love your secret hoard LOL! Oh my goodness - you had me laughing out loud - I love that chocolate drawer! Your card is fabulous as well. A drawer full of chocolates, that's my kind of crafting supplies!! Such a pretty card (and I have SO MUCH stuff out of packaging, it's always hit or miss, me knowing who made it or how old it is!) but a drawer of kisses? I need directions to your house! Now if I could only find peanut butter cookie dough in a roll I could make DS's favourite cookies ever. No chance of that...although we ARE in to London on Saturday so maybe Selfridges.... hummm. A QUEST then. Cookie dough and kisses. Lovely. Love the card, Darnell! It's is CAS-tastic! So, now we know your secret to your card making success! A drawer full of chocolate. I don't have a drawer to spare for treats. I wish! I think it would probably be filled with red licorice though. ;-). Hugs! Your chocolate drawer is the coolest drawer, evah!! I could never keep a drawer like that because I'd be munching away continually rather than crafting. Your sticker card is beautiful. Hydrangeas *sigh* my favorite - you Cali folk really know how to grow them, too!! Great post! Love how you got so much in and it wasn't hard at all to read the whole thing. I'm seriously impressed with the drawer full of chocolate. That it's still FULL of chocolate, or did you fill it for the photo? ;) Have a happy Wednesday! I love the view out your window. Very pretty out there. That is a fairly organized desk. My desk is relegated to one area. The craft stuff is all in one place along with the filing, bills personal library, Computer repair parts, photography equipment, and a host of other things used to keep the house up and running. I will share a cleaned area picture later. I'm surprised that drawer holds the weight of the aluminum foil let alone the kisses. Very sweet card--I never would have guessed you made it with only stickers! Oh gosh, Darnell! I don't know which I love more: that beautiful hydrangea sticker or a drawer full of hershey kisses! Happy happy joy joy! Yes I've been MIA from WOYWW for almost a month, just got so crazy busy around here I didn't feel it fair to post and then not visit. You sticker card is really a Beaut! Wow Darnell a draw full of Hershey's chocolate kisses well just the smell would make me happy. Love the sticker card the bouquet is wonderful. Oh Myyy, how many bags of Kisses does it take to fill your craft drawer? LOL! It makes me happy just to see your 'stash'. Not sure if I'm liking chapter 1, 2, or 3 better! Your card is so beautiful and love the use of the stickers. The drawer full of kisses.....um....no wonder you're happy all the time!!! And lastly, the "age of bewilderment".....I can so relate to that one. Have you ever noticed though that if you remove the "erment" from that word you have "be wild"!!! At our age we can be anything we want I think! LOL! Haha Darnell, if I keep chocolate in the drawer in my craft room, I would be so fat now, LOL! Thanks for sharing yours though, we love seeing you here at Our Beautiful World! Geez, if my desk looked that neat I'd be jumping up and down with glee. No such luck here. But, I am down with your treat drawer only mine holds black licorice. Yes, I know it's not everyone's fave, but it keeps me happy, black teeth and all. Yum! So chocolate is the secret. Hmmmmm! I have some Doves I can use then. LOL And, I love your sticker card. Still no time for me to stamp but you always keep inspiring me. haha! I love that you have a drawer full of kisses! I keep a bag of M&M's in one of my drawers. My day is never complete without a little chocolate. I did give it up for Lent earlier this year, I will never give up chocolate again, but I did it...without cheating, too! Al bought me homemade turtles from a local candy store...what a great way to enjoy Easter morning! 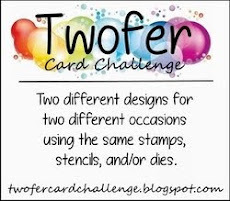 Love the magic draw of chocolate goodness and your sticker based card for the KIS challenge! A beautiful card that I thought surely was for the Card Concept because it fits it perfectly! 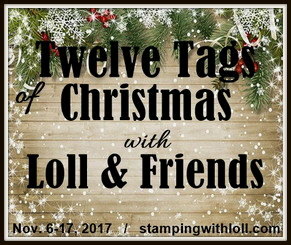 I have a stash of chocolate in my craft room too and always get it out for the stampers. I'd have wine if it wasn't so expensive and the gals didn't have to navigate the stairs after playing cards. Sometimes we get pretty high on the chocolate! Thank you for the explanation of the age of bewilderment. I wasn't sure where I was, but now I know. It's such a relief! How on earth do you stay as thin as a wisp with all those Hershey buds?! It is not fair, I only have to look at chocolate to put on weight.... sigh. Seriously is the drawer always filled with chocolate kisses? If you how come you are still slender. Another fun post from the adorable, funny and slender Irma Iowa. Gorgeous card, love the image and the colouring is fab. I couldn't have a drawer like this. It would be empty before you could spell to chocolate, lol. I am so impressed with your stickers only card - it turned out so very lovely!! It almost looks like the florals are watercolored!! Thanks for always sharing such sunny posts!! Your stickers card is beautiful, love the hydrangeas and a beautiful sentiment. I saw the chocolate challenge call and I actually snapped a couple of photos but I have not posted. Need to get to that today! Really a whole drawer filled with Hershey ! pass me some :) I am now inspired, I should keep some chocolates too, I am sure it will help me when I am out of ideas :) Love the card ! I have to keep my dark chocolate kisses in the fridge. The hardness and distance from the craft room keeps me from eating the whole bag. That is a beautiful sticker and I'm glad you got to enter it into two challenges. Three great chapters. Was green with envy when I saw your neat and tidy work surface. LOLed when I saw that drawer of kisses. Even had hubby come over to look at that photo. TFS! Your drawer is wonderful! How fun to have a drawer full of chocolate. I use to keep a bowl of fun candies on a table but it was just too tempting. LOL! Your sticker card is wonderful - a beautiful sticker and lovely sentiment. Glad I stopped by! Hugz! That drawer full of kisses made me laugh! It explains a lot! No wonder you are such a fun person! Maybe I should empty out a drawer in my craft room and fill it with chocolate... Hmmm... Boy, you sure are full of brilliant ideas! Thank You for this wonderful post dear Darnell! What a treat it was and your card is very beautiful and elegant! 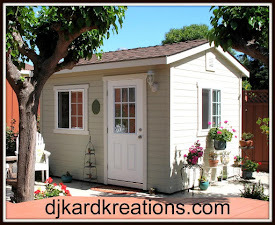 and especially love your view from your Playhouse! Okay your card is just lovely but I CAN'T get past the drawer full of Hershey's kisses...YUM, think I could dive in head first!!! Your card is really stunning! I truly hydrangeas in those colors. Fabulous card, Darnell! I so love that epoxy sticker. And that chocolate drawer - well, all I can say is that it wouldn't last long in this house! You are right Darnell.. Nothing is more simple than a sticker card (which is lovely!) and also nothing is better than a drawer full of chocolate! I LOVE your playhouse. Wish I had one of those. Maybe in 25 years! Thanks for playing at the card concept. have a great day! I love your arty space, blog and creations. I also like the sound of that Our Beautiful World link so I'm going to pop across for a lookeesee. Thanks for the 3 chapter story today Darnell. We don't have Hershey Kisses over here . . . so if you feel like sharing . . . I'll send you my address! Although in this heat and humidity I don't hold out a lot of hope for their condition upon arrival! LOL! FAB sticker card and a gorgeous quote. I have a tin full of Peanut M&M's, they are the reason for all my craftiness!! I don't have a drawer full of them but will certainly aim for that now, yours looks amazing! I have PILES of stickers as I thought I would do that instead of stamping...funny how things work out. Hopefully Phoebe will find some use for them for the next 20yrs!! Oh my - your stash of chocolate did NOT appear in the picture of your mountain of unused schtuff you sent me!!! Fancy holding that one back! I love your pretty CAS card Darnell and hope you are getting somewhere with the stamp organisation. I'm still plodding on with it and can see light at the end of the tunnel now. I NEED a drawer like that! Who would have thought you could make such a simply CAS and elegant card from just stickers. I would say I wish I hadn't thrown all my stickers away, but I still don't think I could have managed anything quite so amazing! Thanks for joining us at The Card Concept! A drawer full of kisses now I have seen it all and chocolate, now I must be naive as I have never eaten one, I don't think we have them here in Australia, hmm might have to have a look see on that one. I love your sticker card especially the hydrangea which happen to be my most favored flower apart from Camellias and Roses. Thanks for sharing and yes I read the lot, that challenge could be fun. Wow Dippy, that drawer full of Hersey's Kisses (not something that you can get over here so no idea what they are like!!!) is certainly very tempting - I just need to know how often you have to add more stock??? Gorgeous card - those two epoxy stickers were made for each other - absolutely beautiful. Such a sweet post! Who doesn't love kisses?!...Yum! ;) And your card is GORGEOUS! Love! Enjoyed your three chapters. I would never let your blog go unread, I learn from each entry - today it was most importantly that there's an Age of Bewilderment - so, that's where I am--I've been trying to figure it out, now I know! But I also enjoy your beautiful cards and your wonderful sense of humor and your skill in making up words that still get the point across. Such talents!! I get my LOL for the day, too. And your 'lits' reminder is appreciated. Yay! I'm not alone in the 'gotta have chocolate now' club! 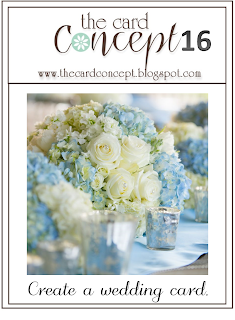 Beautiful card - the hydrangea is gorgeous and perfect for CCC! Love the sentiment! It's no wonder that you & mister are still like two crazy in love collage kids cuz I'm 100% positive that you treat him like you do all of us - with kindness, happiness and a smile! Wow Darnell - I really NEED a drawer-full of those Hersheys - maybe then I would be able to Live each day with kindness, happiness, and a smile! Love the CAS card - the Blue Hydrangea sticker is gorgeous. I like the look of the chocolates but they would be too distracting for me , I would never get anything done, glad I don't have a spare drawer LOL! Fabulous post as always...love how you broke it into chapters, I made sure I had my popcorn and soda before I started reading too. So fun and you are such an incredible story teller. Fabulous photos, love your drawer of kisses, just so sweet. I am not a chocolate lover but for some odd reason love plain M&M's and always keep my Statue of Liberty M&M dispenser filled for those emergencies when you need some extra brain power. I don't think I have ever seen so many kisses in one spot other than maybe Target. Now on to your card it is amazing and what a fabulous sticker too, I love it. Thank you so much for playing along with us at The Card Creation...hope to see you again soon. Sending hugs your way! What? I thought every craft room had a stash of chocolate kisses! How does one make cards without chocolate? Can't believe you have a whole drawer of chocolate! Wait, what am I saying?? Of course I believe it! As I have seen your drawer with the chocolate i must giggle, cool idea but not for me, because if I had such a drawer I bet it just would last for maximum 2 days ! !I couldn't resist the chocolate as an chocolate addict!! Hi-de-hi Miss DJ, it's been a long ole time! Busy, busy summer on my end, knitting (as you know), and family history research, in Croatia of all places, for a friend, camping, kayaking, race events and heaven knows what have kept me out of my craft room and away from blogging. But it's been fun! Only five more packed weekends and then I'll be back at home again on a regular basis! Sorry for not being around and saying HI, I've popped in once or twice to get a crazy Darnell humour fix!! And I got it again today, I can't believe you have a DRAWER full of Hershey's girl! I just about fell off my chair laughing! I have to say that Cherry Republic Chocolate Covered Cherries or Lindt truffles are my downfall, don't actually care for the taste of the Hershey's so please, have my share too! 89 comments? What are you, some creative guru handing out free chocolate advice? Oh I forgot. Darnell. AKA, DJK, artist, pied piper of all things creative, and now I find hoarder of chocolate kisses! Ah ha! You singlehandedly keep Hersheys, PA in the black! LOVE your card, Darnell. I have those K & Co. stickers, too, and am hoarding because they are so pretty. I'm glad to see you've joined us at The Card Concept, m'dear! Love your CAS card, Darnell! Such a liberating idea to put just stickers on a card, but it really is beautiful! Thanks so much for sharing your thoughts and ideas with us, and for yet another great post, too...You're the BEST!!! Wow! A scraproom with chocolate! WooHoo! Now I know your secret, and I'm jealous. :) Love, love, LOVE your card! Now I want to go through my stickers and try to CASE you. Have a good day! Your card is beautiful! I have so many stickers too, and sometimes try and use nothing but stickers on my card...so I can use my NBUS! Gorgeous card, with an awesome sentiment!! Making a card with no stamping would be a challenge for me!! Love your card!! Oh wow--one of the all-time best wedding cards, Darnell, even if you didn't have that in mind when you made it--Fantastic card, my friend! The sticker is just gorgeous and you've assigned it perfectly, Darnell! Now, can you give me a kiss to build a dream on...? GOR-JUSS wedding card and a drawer filled with chocolate kisses? I'll be right over!! Another awesome post in every way! Now I can say I read three chapters today! I'm quite well read. I enjoyed your desk chapter, can't believe I didn't stop in last week. Such a cliff hanger at the end of that chapter. It was all resolved and for the better in chapter 2. I loved the CAS wrap-up in chapter 3. All that reading... surely it's bedtime now? I know, stop calling you Shirley.